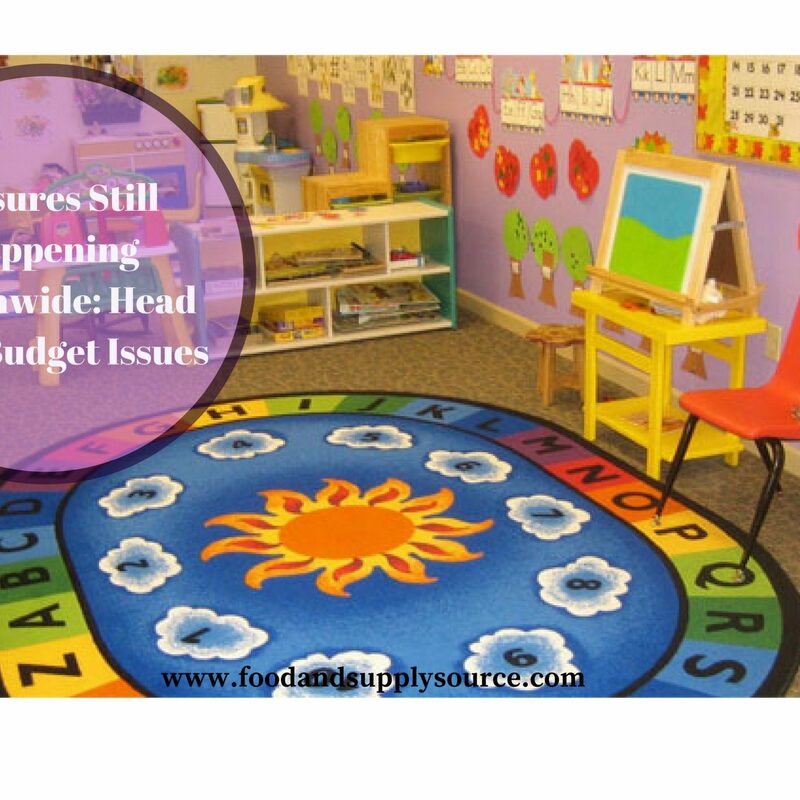 Despite the fact that Sequestration is over and that funds have been allotted by the federal government in the most recent budget for the early childhood education program known as Head Start, closures are still happening nationwide. Administrators who were unable to make ends meet and manage Head Start purchases in order to keep the doors open are sadly having to cut spaces or close down programs entirely. The fallout from these past budget cuts is still affecting the children and families who depend on these programs for education, healthcare, nutrition and support in just about every state. When the Head Start program budget is under scrutiny, delayed or reduced, it is the children and families who depend on it that feel the loss the most. These families are low-income and in-need of proper child care and early childhood educational services for their children. The good that this program brings to the community exceeds any amount of money that the federal government uses to support it. Countless studies have been done that show the effect that Head Start has on children who participate in the program, compared to other children in the same neighborhoods who didn’t have access to these services. They even go on to be more successful, productive and have less problems with the law throughout their childhood and early adulthood. In additions to the children and families being affected, jobs are being lost as a result of these Head Start program budget issues. One location that closed saw dozens of employees out of jobs and over 100 children being forced to find other educational and childcare opportunities. Too often, these children are unable to be placed in another similar program and they miss out on the early educational opportunities afforded to them through Head Start. Parents who are working full time and depended on Head Start as a safe and beneficial place to bring their children are now scrambling to find other low-income options or to simply leave their children with family and friends while they go to work. Unfortunately, for some Head Start programs, it’s too late to make changes to help the doors stay open. However, for those that are struggling with the current Head Start program budget, there are some things that can be done to reduce spending, manage Head Start purchases and free up finances for essential programs, staff and spaces for participants. SupplySource is a FREE program that helps non-profit organizations that serve human service needs, such as the Head Start program, to reduce costs by as much as 10-35 percent each year. Our team will go over your organization’s current spending on commercial janitorial supplies and office supplies to identify areas where improvements can be made. We connect Head Start administrators with janitorial supply companies and other vendors who can provide them with bulk purchasing discounts and a strong combined buying power of thousands of other human service organizations all joined together as one. We can even help you get discounts on one-time purchases, such as appliances, office equipment and more. This is a completely FREE service that will cost you nothing, but could help you to reduce your spending on everything from copy paper to toilet paper and all of your other regular purchases in between. There is no fee to join SupplySource – all of our services are free to non-profit human services like the Head Start program. Our suppliers pay us a small fee to connect them with our customers, but you always have the freedom to choose who you are going to place your order with in our program. We work directly with office and janitorial supply companies to get you huge discounts on purchasing commercial janitorial supplies, effectively saving most participants by as much as 10-35 percent each year. Our team will conduct a FREE cost savings analysis of your current purchases to let you know how much you can save by buying through SupplySource to better manage Head Start purchases. SupplySource serves Head Start programs all across the country in every single state, service area and location, including Hawaii and Alaska. We work with you to make sure that the process is seamless and simple. Even if you only make a few purchases each year, you can still enjoy the buying power and discounts on your commercial janitorial supplies and reduce your overall Head Start program budget with SupplySource. Give us a call to find out more about all of our services and opportunities available to non-profit human service programs.